When Berkeley proposed, I thought we’d live happily ever after—we’d plan our wedding and he’d tour with the Brightside while I continued designing lingerie. Instead he dropped a bombshell: he’s starring in a movie with his gorgeous ex, Christina Carlton. And what’s more? I’ve been erased from the public eye. All anyone can talk about these days is #Berkstina. To be together, Berkeley asked me to work on set as a costume designer—a dream come true—but there’s a catch: we have to keep our relationship secret. I’m okay with not being photographed, but the sneaking around, the lies, his love scenes; it’s not how I imagined our engagement. Berkeley is passionate and driven; it’s one of the reasons I love him. But he has so much going on—am I ready to drop everything to become Olivia Dalton? Each book in the Brightside series is a standalone, full-length story that can be enjoyed out of order. 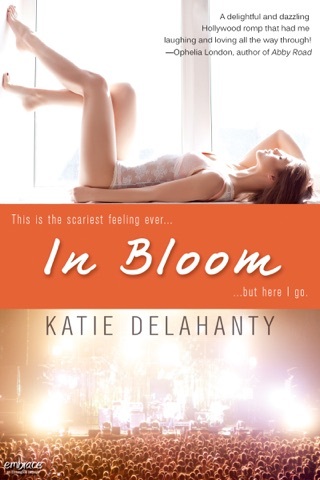 This book picks up where In Bloom, book 1 in the series, leaves off. Brilliantly written, Ms. Delahanty creates characters that are realistic and relatable. I was riveted from the very beginning; and even shed a few tears at the end. I loved the use of tweets at the beginning of each chapter and the length of the chapters. There is a bit of mystery and several surprises in this installment. I loved it! I hope there will be many more novels in this series. I would love to read more about Parker, Gemma, Boots, Mark and Blair. And, look forward to reading many more books by Ms. Delahanty. ARC provided by Entangled Publishing in exchange for an honest review. This book is just full of surprises!! 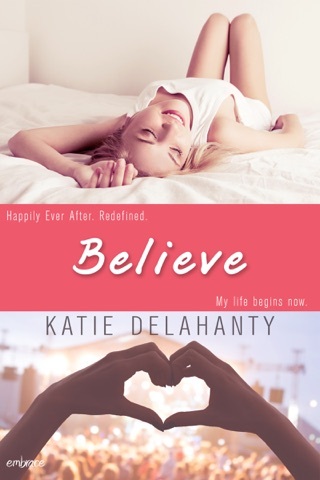 This is book # 2 in The Brightside series by Katie Delahanty. Berkeley Dalton and Olivia Bloom's story is fantastic.....and totally complicated. They are engaged to be married but the contract to make his new movie states that no one can find out. The fine for the reveal is a million dollars! Berkeley is very much in love with Olivia. He wants her with him all the time. He offers her a position of assistant to the assistant costumer on the set of his new movie. Well the title is something like that. Olivia is so excited for such an opportunity she leaves her great job designing lingerie for this chance and to be closer to her fiance'. Liv and Berk are serious about one another but there are other forces at work against them. Ex-girlfriends, paparazzi, publicists, contracts, pretend friends and more! Liv starts to have doubts. She never sees Berk, and when she does he is really good at pretending he does not know her! Berk on the other hand has so much going on.... and he starts to regret taking time away from his music career too. What should a rock star do? Liv also has a new love interest. One who wants to see her in his future and asks her out repeatedly. Berk is not sure he can stop the doubts either. Is there too much there to come between them? Add in fanatical family and it just seems like too much?! I think true love will win this time. Berkeley and Olivia have so much energy and sparks fly when they are in the same room. This book can be read as a stand alone story but I feel it is a better read if you can get your hands on the first book, In Bloom from The Brightside series. There is so much more to the other characters and it is worth the read. I cannot wait to see where the author goes for the next book!! Beware the surprise ending and one should totally enjoy the sizzle that literally jumps out of the book to the reader. The chemistry for these two is huge! ***This ARC story was FREE from Netgalley.com for review purposes. My honest opinion does not reflect Netgalley nor its affiliates.